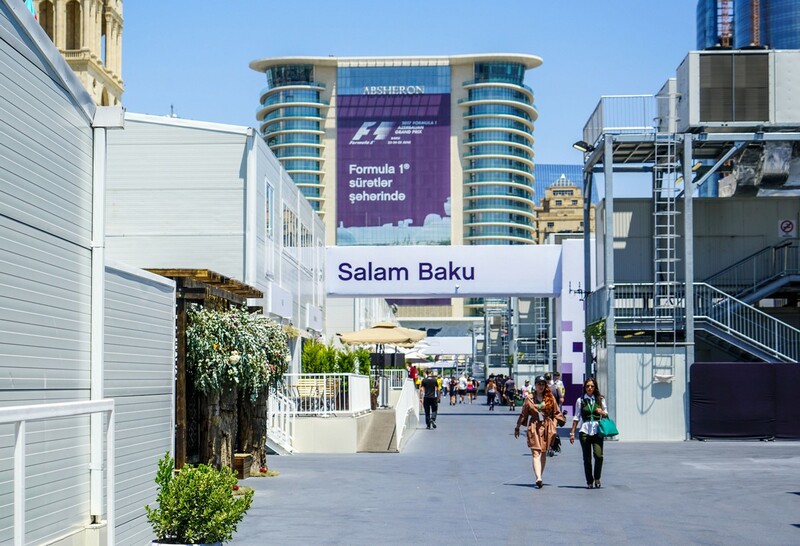 F1 Fun in the Azeri Sun. I’ll cut to the (car) chase: it was a real fun race. 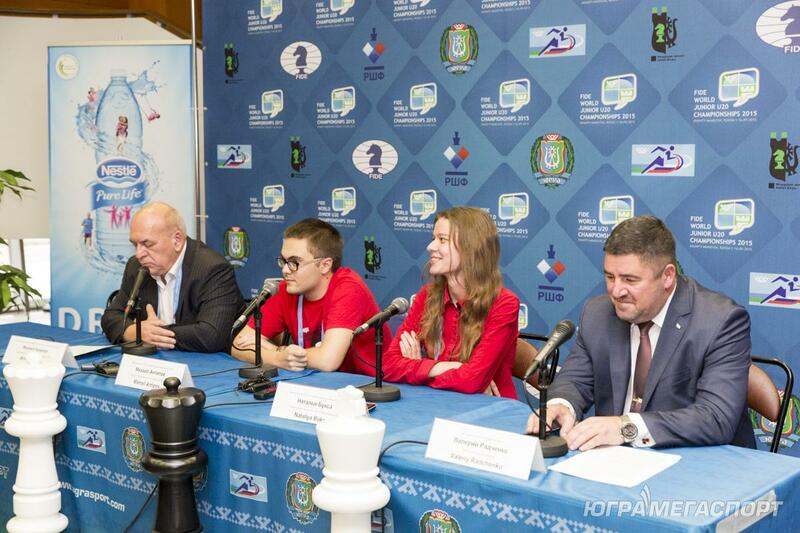 Russian Grand Prix in Sunny Sochi. It doesn’t matter that we can’t see the cars themselves – we sure can hear them (the starting line’s a mere 30-40 meters away! ), and seeing them on the big TV screens is more than enough. Oh my grid. Valtteri Bottas jumped two positions ahead right from the off, and that was actually how things ended today. I’m afraid not a great deal else interesting happened today. No intrigue, nothing! Sometimes it goes like that, F1. In fact, it all resembled more a column of soldiers doing a march. Who would have thought F1 could be dull? :). A storm cloud looked like it could have put a literal dampener on things, but it decided to stay put up in the mountains and not descend to the sea. An Improved Formula for Formula 1. 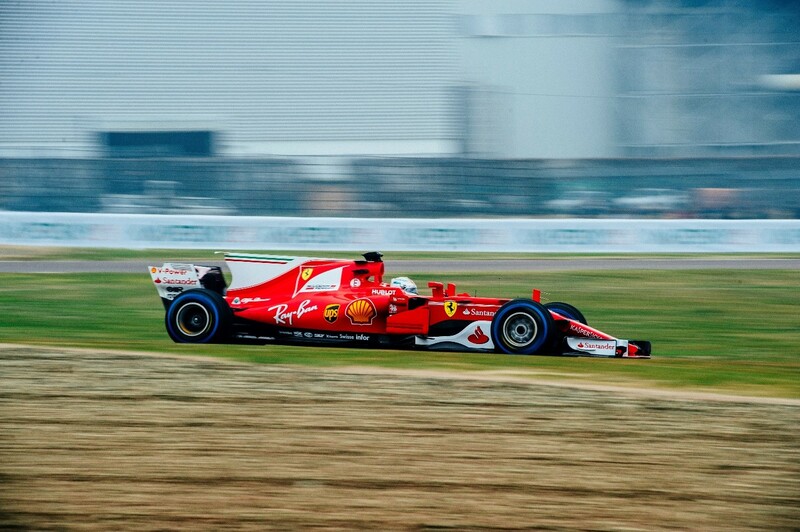 Another year, another beer F1 – in Ferrari red, of course. It’s harder than ever to say who will do well this season and who won’t. For those who might not be budding F1 fanatics, let me tell you that this is because the FIA (governing body for world motor sport, which among other things sets the rules for racing) every year makes adjustments to F1 rules to make the sport more entertaining and competitive, and to be able to show off the very latest super F1 tech. Well this year the FIA has gone one further and changed the regulations to such an extent that making predictions as to results has turned into a thanklessly futile pursuit: there’ve been just soooo many changes; and how they will affect the different teams is anyone’s guess. 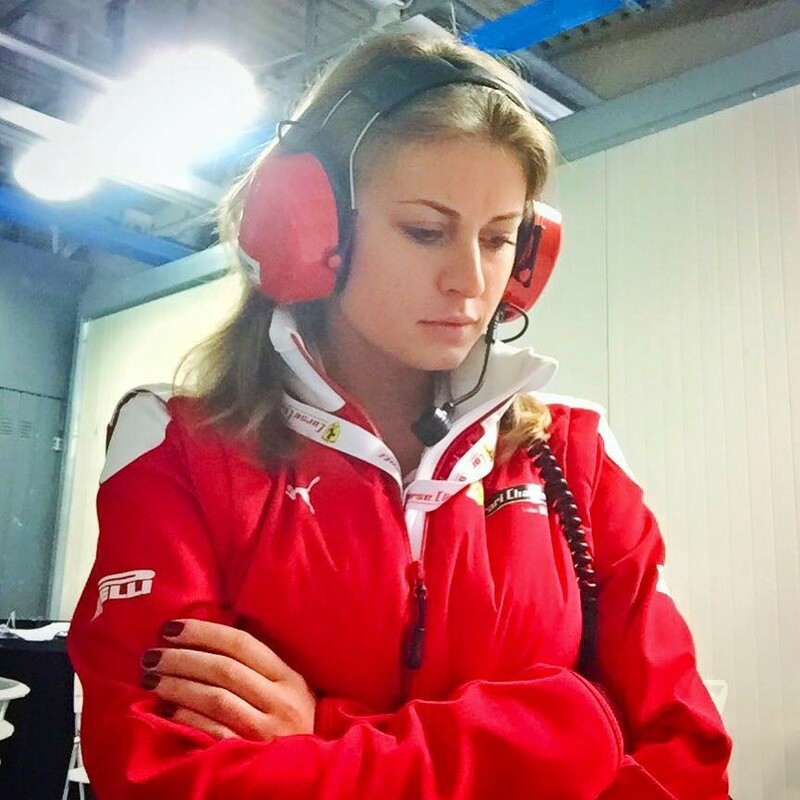 “In recent years F1 has become rather unpredictable, and therefore less entertaining. In order to bring back some of the intrigue, the FIA has overhauled both the sporting and technical regulations. So what’s been changed as regards the technical regulations? 1) The front wing has a new shape, giving the car more of a combative look. 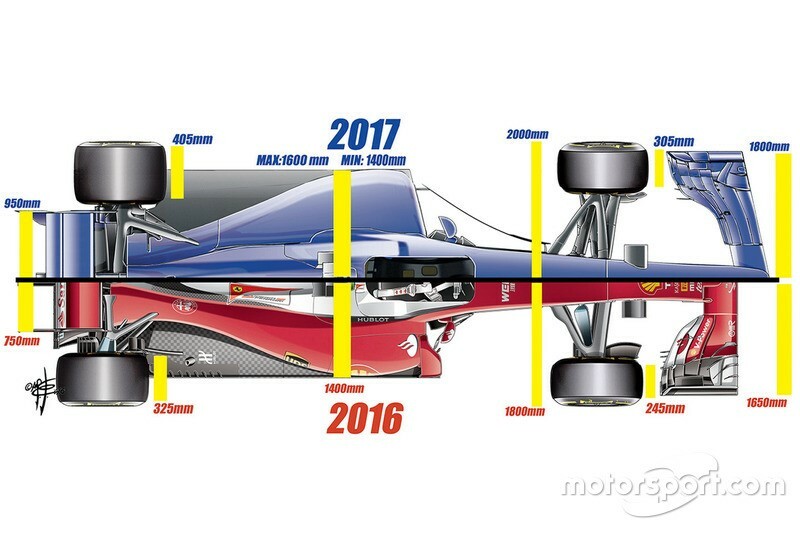 It’s now further from the chassis: the length of the nose cone has grown from 850 to 1050mm, while the front wing span has grown from 1650 to 1800mm. One of the reasons for this is to improve air flow around the new, wider tires. 2) The diffuser has increased in size: to 175mm in height from 125mm, and to 1050mm in width from 1000mm. It’s also longer, now extending ahead of the rear axle line. 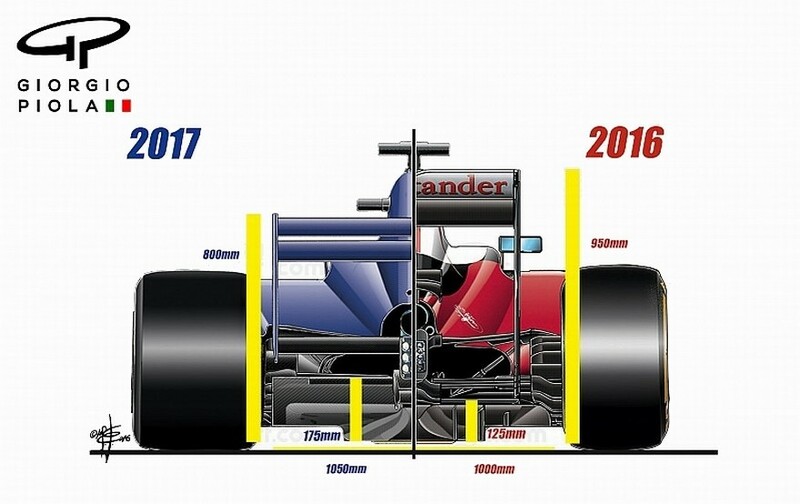 3) The chassis is now 200mm wider – maximum: 1600mm; minimum: 1400 (the height has remained the same – 950mm. 4) The side-pod flow deflectors have increased in size. 5) The maximum weight has been increased from 702 to 722kg (without fuel). 6) The width of the brake disks has been increased from 28 to 32mm. 7) Thanks to the new construction parameters, the cars should be doing laps around three or four seconds faster this season, so the downforce has been increased by 15-20%: to maintain sufficient grip with the track surface at higher speeds, wider tires were needed, thus introduced. Pirelli will be fitting front tires that are 25% wider than last season (305mm up from 245), and rear ones that are 30% wider (405mm up from 325mm). All this, as mentioned, improves traction; also acceleration and braking. The diameter of the tires has increased a little (from 660mm to 670), while wheel size stays the same (13 inches). 8) The effect of the drag reduction system (DRS) has increased. That is, it will generate more downforce and have higher drag. 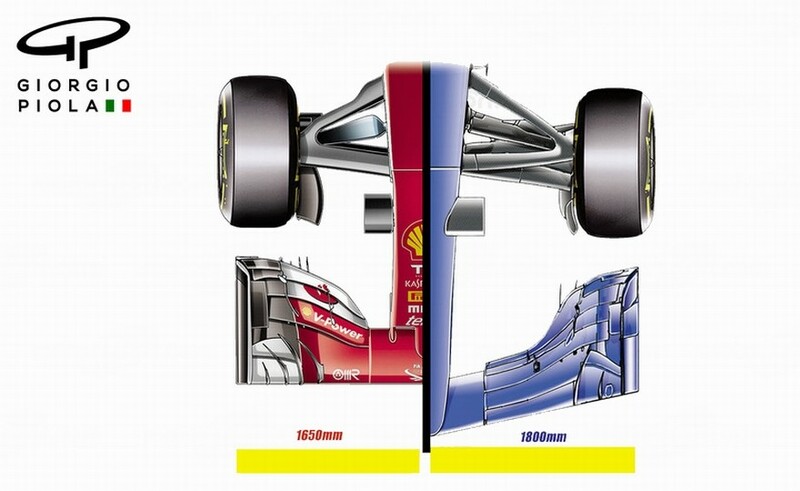 As a result cars will be able to open a special wing and gain as much as six or seven miles per hour. Drivers must continue to use essentially the same helmet design at all races for easy recognition of the driver in the car. However, each driver is now allowed to use a special livery at one event of his choosing, such as a home race for example. 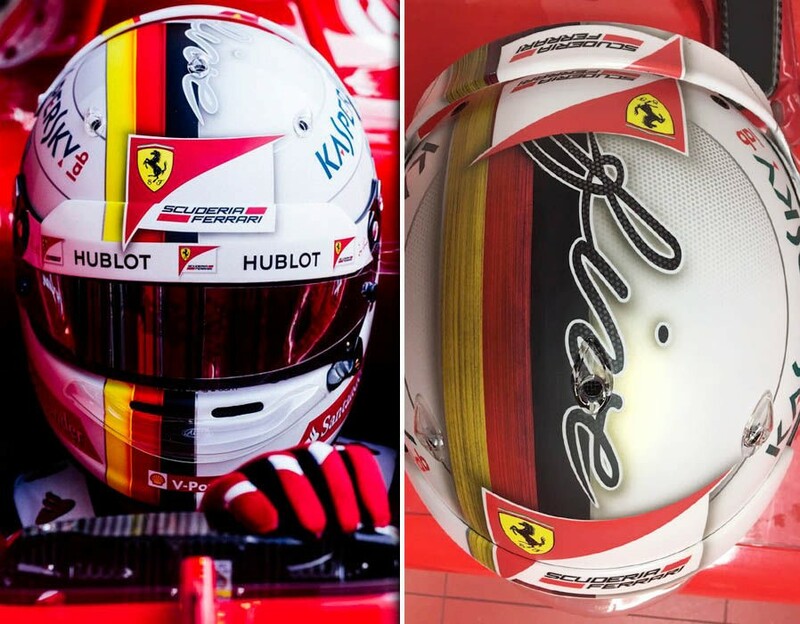 Drivers will also be allowed to change their helmet liveries if changing teams during the season. A rule change has been made to prevent drivers stockpiling spare power unit elements. During any single event, if a driver introduces more than one power unit element that is subject to a grid penalty, only the last element fitted may be used at subsequent events without further penalty. – the power unit price for customer teams has been reduced by €1m per season compared to 2016. – the previous ‘token’ system for in-season engine development has been removed. – Additionally, constraints on power unit part weights, dimensions and materials, and on boost pressure, are being introduced in 2017 and in 2018. As before, the teams must inform the FIA of their slick tire choices no less than eight weeks before the start of each European race and fourteen weeks before the start of each event held outside Europe. For 2017 only, because the tire selection deadline for the first five Grands Prix falls before pre-season testing, for these events Pirelli (the single tire supplier) will allocate two sets of the hardest compound specification, four sets of the medium compound specification and seven sets of the softest compound specification to each driver. Since Haas F1 debuted in 2016 with much success thanks to close cooperation with Ferrari and Dallara, some restrictions have been introduced this year on outsourcing. 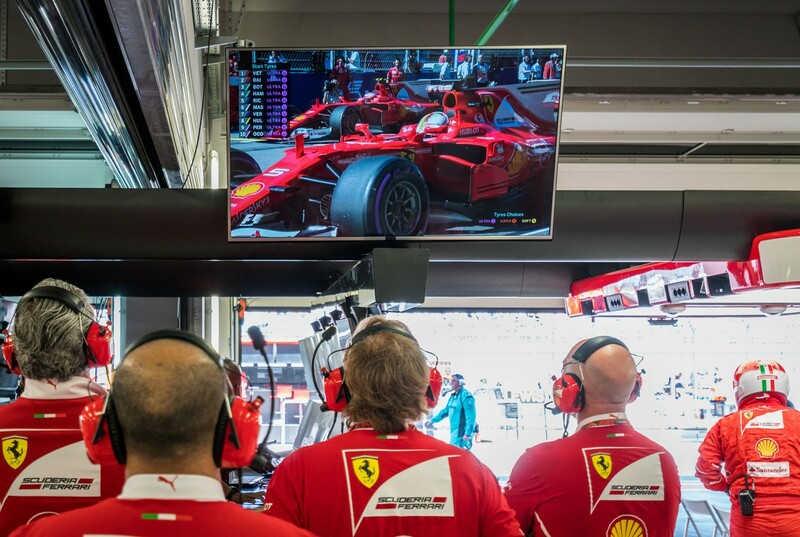 If a team does outsource, including being supplied with components from third-party suppliers, then the time spent using aerodynamic chambers and use of CFD technology connected with such contracts is now strictly regulated, and the team is obliged to give the FIA detailed reports on any such testing. Besides, rules on team specialists moving to another team have been clarified, among other things to prevent leaks of confidential technical information. Now, all teams must inform the FIA of any significant changes to their personnel, and also present evidence that all reasonable measures to prevent information leakage are taken. 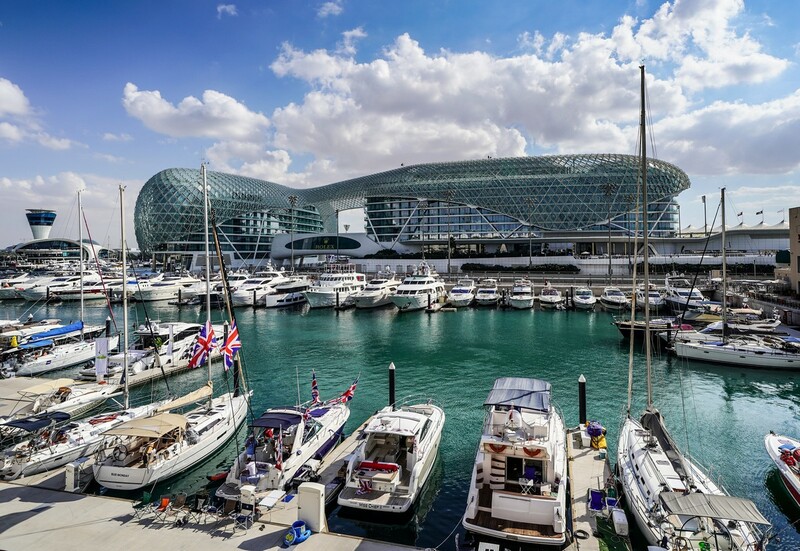 I think that these changes will see a significant shake-up of the F1 status quo and seriously homogenize teams’ performance; this in turn will make the races much more neck-and-neck, interesting and exciting. 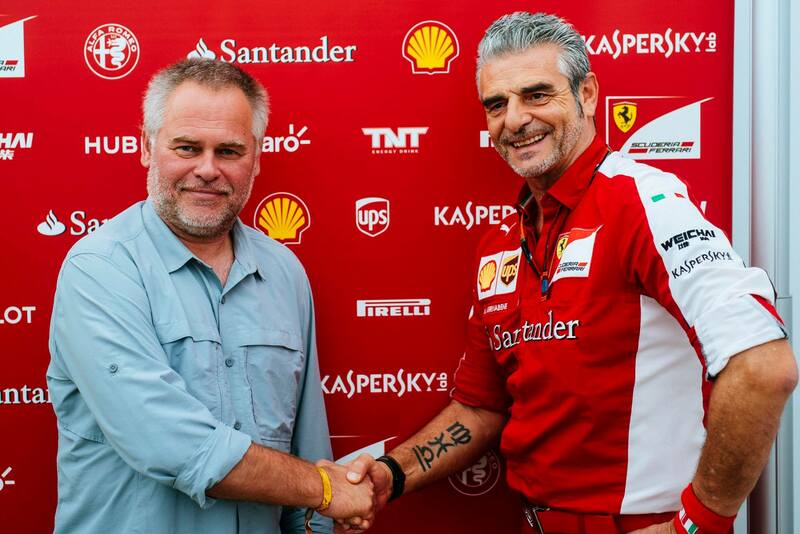 And of course it provides good opportunities for Ferrari! The red team is strong and its drivers are too. Yep, it has everything set for an excellent season, and finally place the car with our logo on it into the hall of fame of this legendary marque :). PS: Well done and thank you D.M.! Quite unexpectedly, it turns out that the Mobile World Congress in Barcelona is taking place at the same time that the F1 teams are test driving at the Circuit de Barcelona-Catalunya. Well, obviously we have to go there! And, well, here we are! During these test sessions the venues are usually deserted – no noisy crowds, no stony-faced security, no rushing to and from one part of the track to another and none of the hot dog fast-food smells. Nothing! An Obvious Formula. 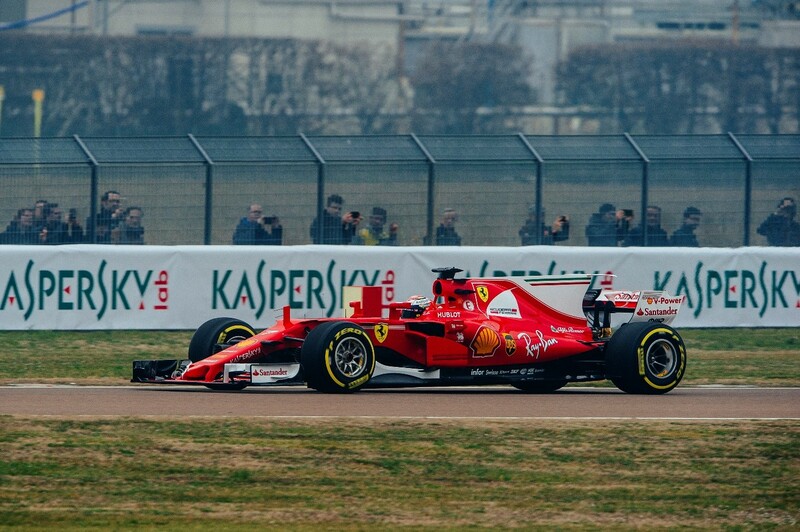 Monza 2016. And now, boys and girls, for the main course – a very hot dish! Formula One racing in Monza. It’s a cult place for the motorsport crowds, and it’s not far from Milan. It’s all about the cars, bikes, racing loud techno, global gathering and loads more! That’s why I’m here. 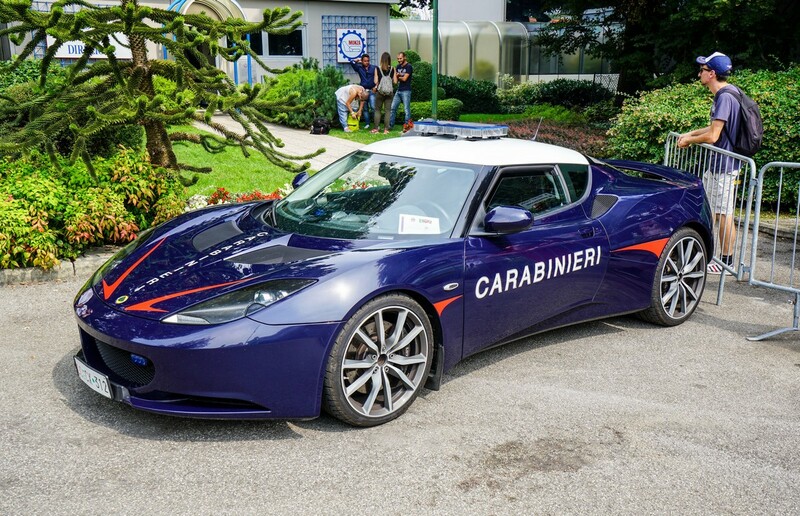 The place is so motor-oriented that even the ‘carabinieri’ have their Lotus out front at one of the entrances (there may have been more of them I didn’t see). Before the race, however, I have a feeling that something isn’t quite right. 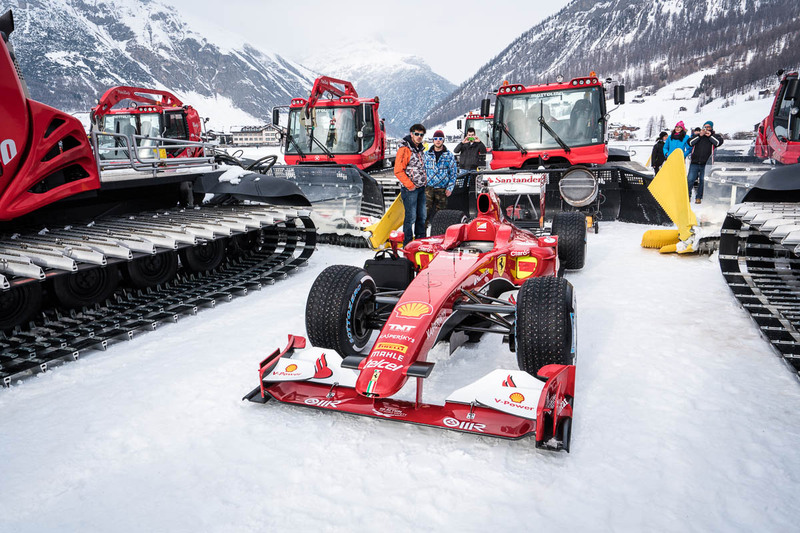 This is what the event looked like at the Livigno ski resort at an altitude of 1,800 m, in front of a huge crowd of skiers, local residents, tourists and racing fans.